The Academy on Violence and Abuse (AVA) was created to address the concerns highlighted in a 2002 report released by the Institute of Medicine (IOM). The report, which challenged the health care community to better educate and train health professionals about the often unrecognizable health effects of violence and abuse, inspired a group of health care professionals to converge in effort to gain recognition and understanding for violence and abuse as health care issues. AVA is a non-profit, academic, membership-based organization. 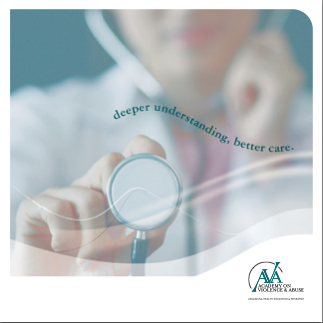 Our membership includes a variety of health care professionals, representing various facets of the health care field. Our goal is to continue expanding health education and research to integrate knowledge about violence and abuse into the training of all health professionals to promote safe families, safe workplaces and safe communities.